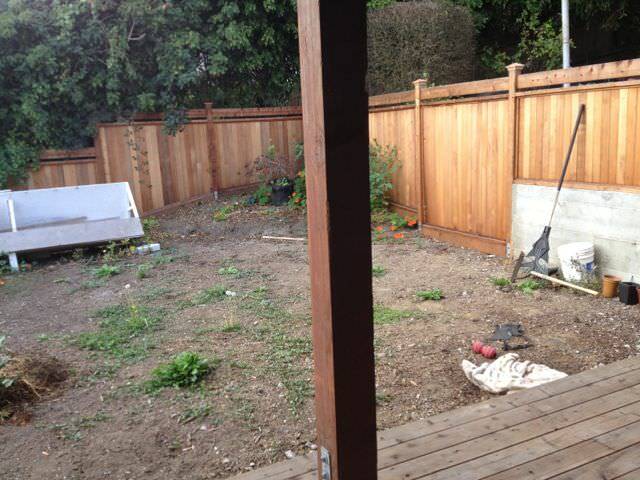 Below is a photo of a rear yard in Noe Valley. We installed the lower deck and fences about 6 months ago and soon we’ll be going back to finish the landscaping. Included in the project will be a patio, stone planters, water feature, spiral stairs, curved bench/pergola, lighting, plants etc. 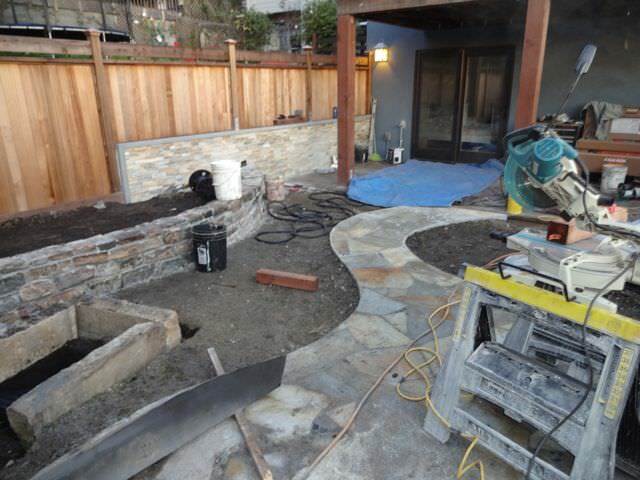 Here you see the completed quartzite patio and masonry work. We used a bitterroot wall rock for the short retaining wall and a natural stone veneer on the existing concrete wall to cover the unsightliness. View from the deck. 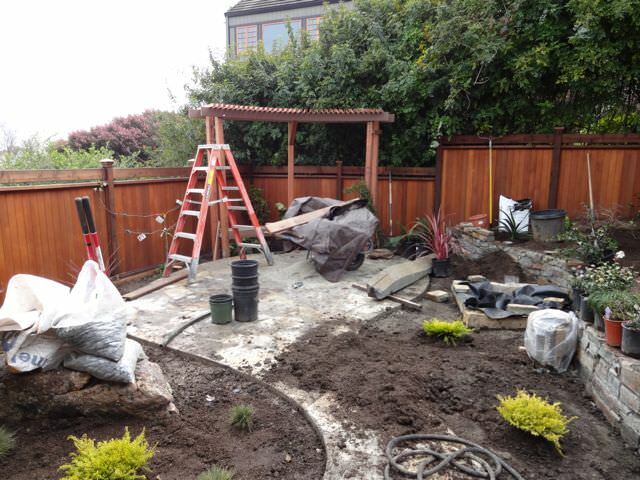 Note the curved redwood pergola which follows the contour of the patio. 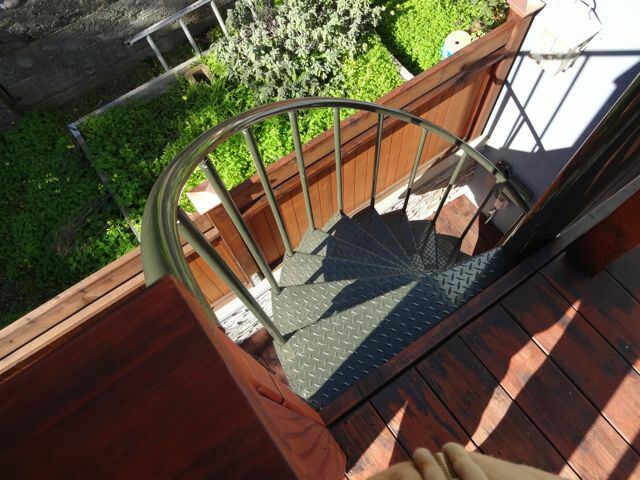 We also installed a spiral staircase to provide access from the upper deck to the yard. Spiral staircases are wonderful for small spaces as is typical in San Francisco. They take up such a small footprint. 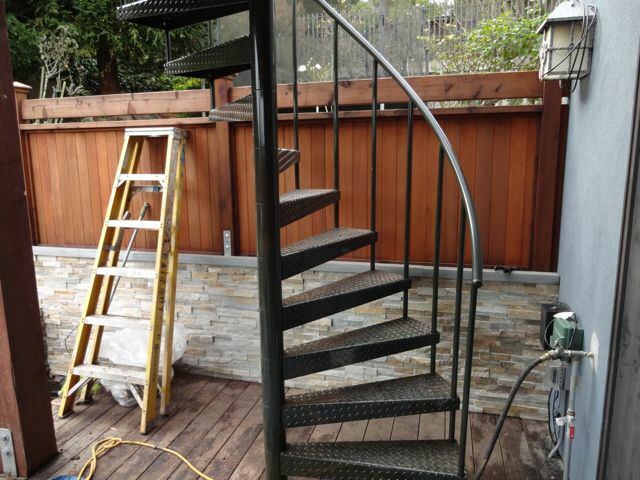 Tamate landscape acquires their made to order custom units from Salterspiralstairs and constructs them onsite. This unit is aluminum and powdercoated. 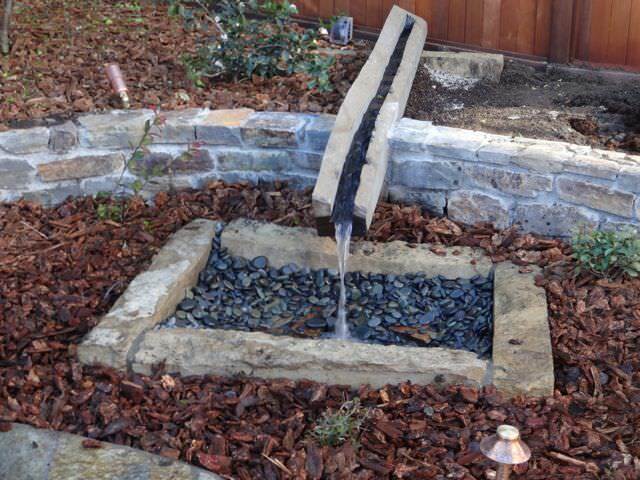 We installed this simple water feature . The cascade was made by cutting a channel into basalt. The system re-circulates via a highly efficient pump which uses very little electricity. 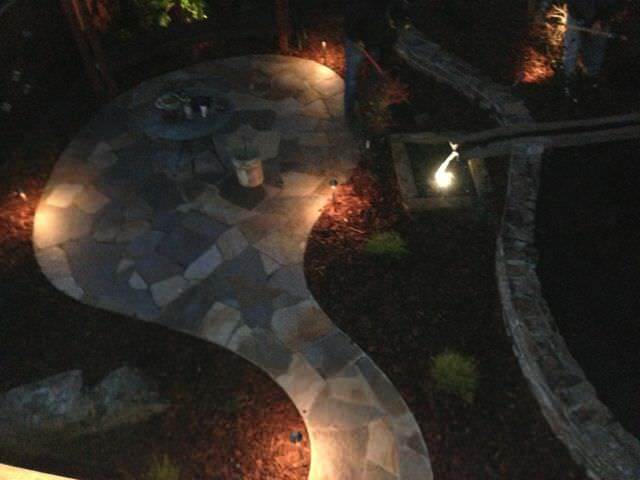 Project shot at night with landscape lighting.